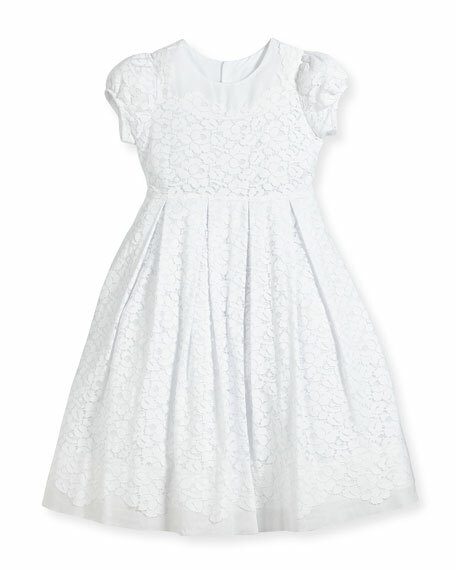 For in-store inquiries, use sku #2364518. 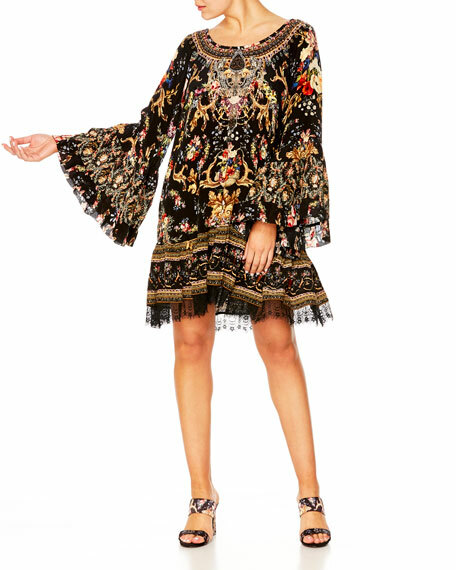 Camilla dress in printed silk with crystal embellishments & lace trim. Scoop neckline. Long flared sleeves. A-line silhouette. Hem hits above the knee. Slipover style. Imported. 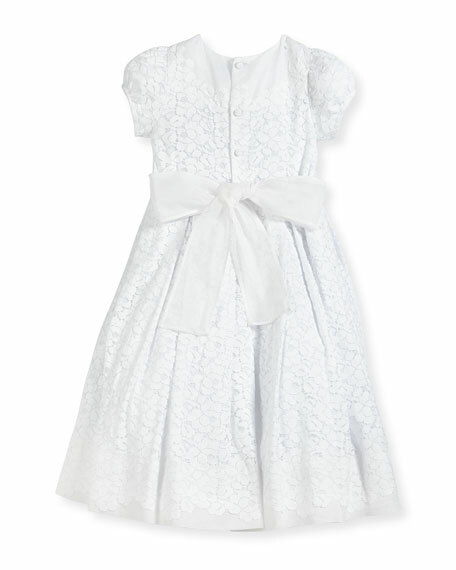 Dolce & Gabbana dress in scalloped lace with painted lily floral print. Approx. 18"L from waist to hem. High, round neckline. Three-quarter sleeves. Darted waist. Fit-and-flare silhouette. Scalloped edges. Back zip. Cotton/nylon/rayon. Made in Italy. 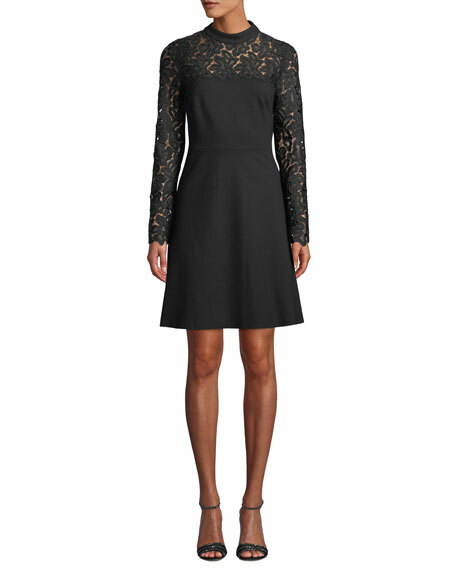 Elie Tahari "Jenessa" dress with lace yoke. Crew neckline. Long sleeves. Fit-and-flare silhouette. Straight hem. Back zip. Rayon/nylon/spandex. Dry clean. Imported. Model's measurements: Height 5'10"/177cm, bust 33"/84cm, waist 25.6"/65.2cm, hips 35.8"/91cm, dress size US 2-4/FR 34-36. 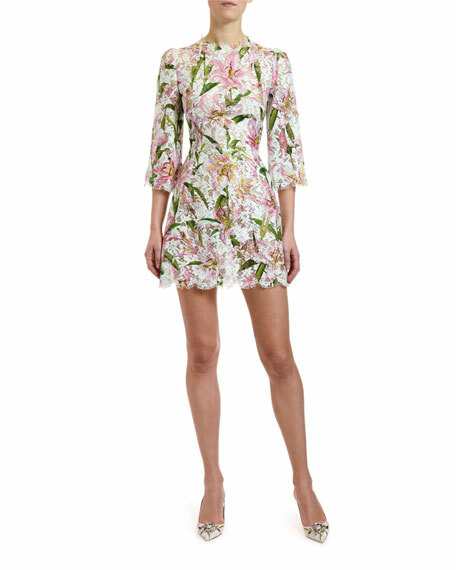 Fendi dress in floral print chiffon. Spread collar; button front. Long sleeves with lace insets. Lace yoke overlay. Billowy bodice. A-line silhouette. Maxi length. Silk. Trim, nylon. Ribbon, nylon/viscose. Underlayer, silk. Made in Italy.